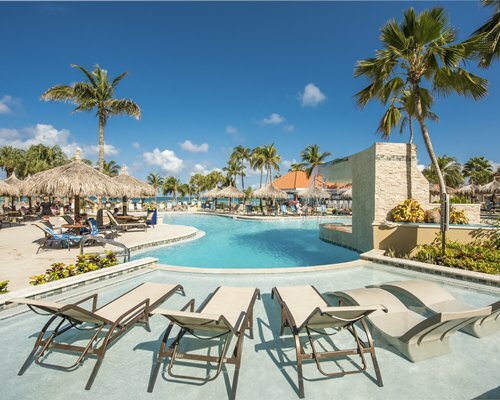 Set on a magnificent white-sand beach and surrounded by lush landscaping, the Playa Linda Beach Resort features a number of on-site amenities for guests to enjoy. 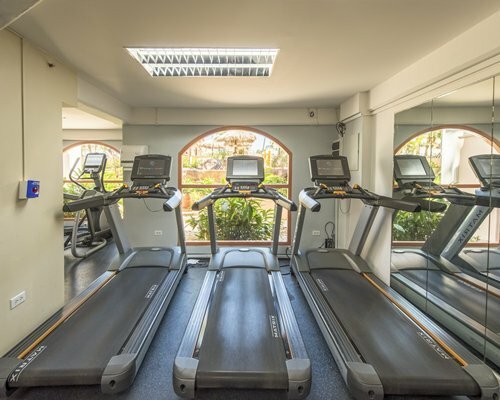 Pools, spa, tennis court, exercise and games rooms, snack bar and restaurant are all of the highest quality. 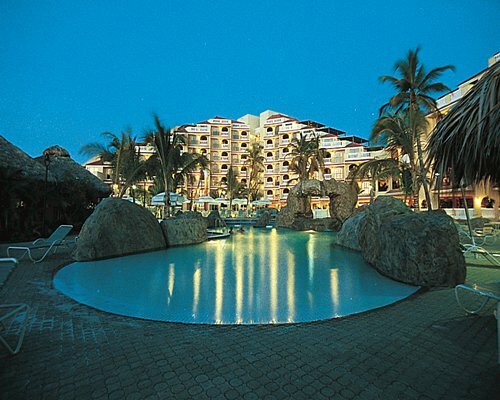 The Playa Linda Beach Resort has been the recipient of several international hotel awards. The staff is committed to providing the highest level of service to all guests. 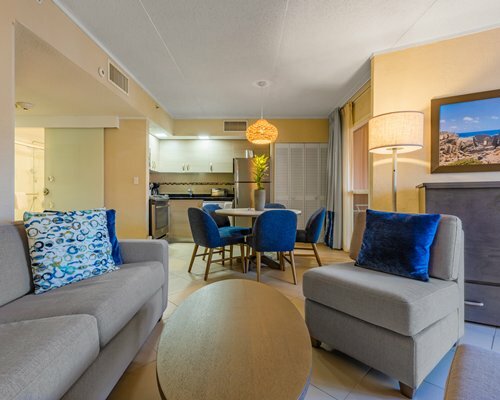 Featuring studio, one- two- and three-bedroom units, all accommodations at the Playa Linda Beach Resort are well-appointed and designed to meet guests’ every need. All units are air conditioned and sparkling, each with phone, kitchen facilities, and microwave. For guests’ ultimate convenience, many units also include a dishwasher and washer and dryer. 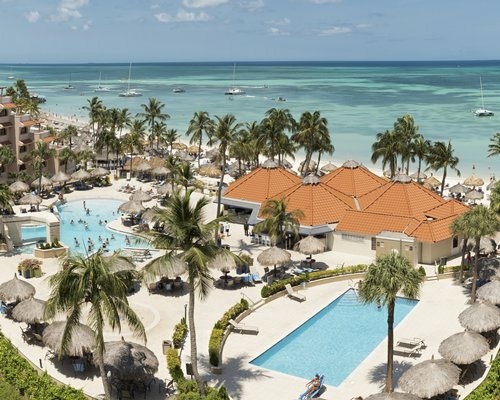 Beautiful palm-fringed beaches, the warm, sapphire-and-emerald waters of the Caribbean, an ideal climate and cosmopolitan atmosphere attract visitors from around the world to Aruba. From scuba diving and snorkeling to deep-sea fishing and kayaking to sailing and jet-skiing, there is virtually no end of activities to enjoy in and on the water. Back on the beach, catch some rays or take a stroll. Looking for something different? Try some cliff climbing or visit the local bird sanctuary. Golf is something special in Aruba, with challenging courses and spectacular views. Family fun can include a visit to the Butterfly Farm or Donkey Sanctuary. Nightlife in Aruba is legendary – dance ‘til dawn, enjoy a fine-dining experience or try your luck in one of the island’s many casinos. Exit left out of Queen Beatrix Airport. Follow 1A through traffic circle exiting the 3rd right, through downtown Oranjestad. Continue toward the high rise district. The resort is on the left. Check in at the front desk at 4 p.m. Check out is 12 noon. Mandatory Security deposit is 250.00 U.S. dollars. Cash or Credit is accepted. Mandatory Occupancy tax is 9.50 to 11.87 U.S. dollars. Cash or Credit is accepted. Mandatory Utility surcharge is 7.00 to 12.00 U.S. dollars. Cash or Credit is accepted. Mandatory Environment Tax is 10.00 to 25.00 U.S. dollars. Cash or Credit is accepted.